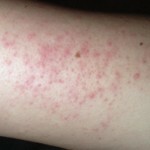 This common skin disorder is now easily treatable at SAI using Skin Tech Easy Phytic chemical peels. Keratosis Pilaris is a genetic skin condition that causes what are most commonly described as “chicken bumps” or “goose bumps”, but unlike the similar skin condition from cold these rough spots are permanent. These rough and visible patches are most common on the arms and thighs and most people do not know that the condition can be treated. At SAI many people ask about the issue and until now there was nothing that could be done to alleviate these aesthetically displeasing patches. 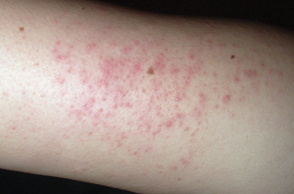 Keratosis Pilaris affects nearly 40% of all adults and as much as 50% – 80% in children. Often associated with other dry skin problems, winter in the Highveld is the perfect time to treat your Keratosis. Our dry and cold winter air will only worsen the condition but using Easy Phytic skin peels can totally alleviate this skin condition. In most cases the treatment protocol lasts 4 weeks, with one treatment per week. There are special offers to purchase the entire protocol and it is worth visiting Dr Clark to chat about your dry skin and Keratosis Pilaris options.